As already noted earlier today by Red, what a night it was for Bob at the Garden on Monday! His performance helped the Celtics win their seventh game in their last eight tries, and it really seems like The Green are starting to turn it on. 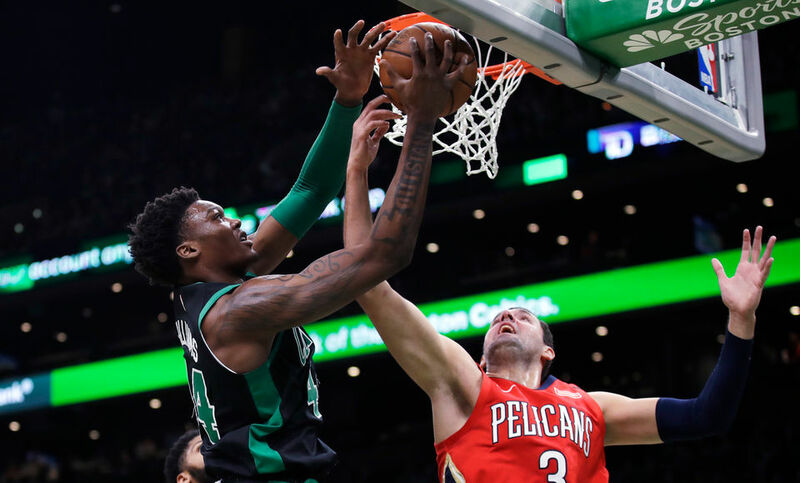 The Celtics rookie played a season-high 26 minutes against New Orleans and proved exactly why he was being projected by many as a lottery pick before this past June’s draft. His seven points and 11 boards were solid enough, but he also compiled three blocks – TWO of which were on none other than Anthony Davis. Even more impressive is the fact that he held Davis to 7-of-17 shooting overall on the night; so, yes, while Davis did score 41, over half of those points were actually allowed by Daniel Theis and others besides Williams who covered The Brow last night. Bob also showed incredible discipline, playing so aggressively yet only committing one foul and zero turnovers. The rookie big man was all over Davis last night. Red and I have been telling you since July that this kid was going to be something special, and we got our vindication last night. This is just a sign of things to come. Another 300s favorite, Marcus Morris, was also huge in last night’s win. He posted 31 points to go along with four rebounds and four assists. Ever since being inserted into the starting lineup at the end of November along with Marcus Smart, Morris has averaged over 15 points per game. This man has kept on rolling all year long. Brad Stevens’ choice to switch things up a few weeks ago has proven to be a very underrated (and potentially season-saving) move. Replacing Gordon Hayward and Jaylen Brown in the starting lineup for Morris and Smart may have sounded foolish just three months ago, but there is no doubt that the decision has injected some much-needed life into this team; the Celtics are undefeated through four games in December, and they have lost just once since Thanksgiving. I know that “season-saving” may sound a bit melodramatic, but this was a team that had lost five of their previous nine beforehand, and something needed to be done – and quickly – to get the team back on track. Kudos on that one, Brad. And what’s even better is that neither Hayward nor Brown have suffered as a result of the move, as both are still a huge part of the rotation and are each playing well over 20 minutes per night. Though Brown missed three games after injuring his back against Dallas on November 24, he’s averaged over 20 points per game in three games since returning. 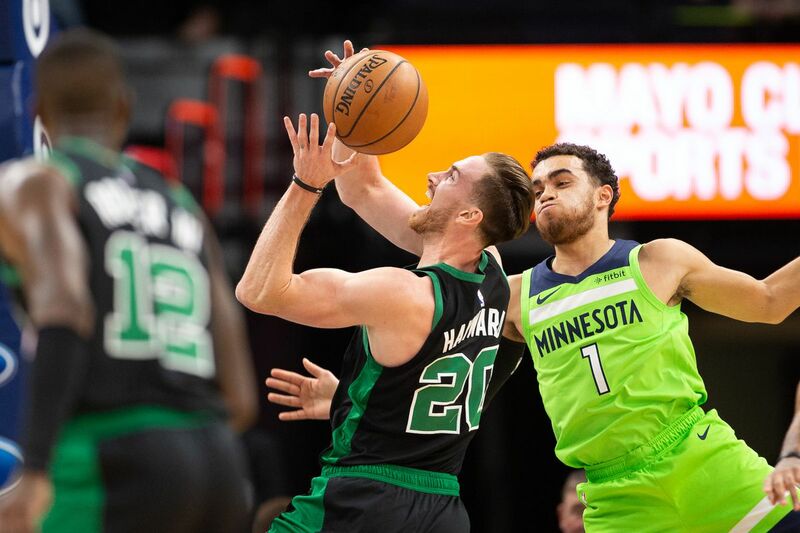 Hayward has been a bit more inconsistent and is still trying to find his groove, but his 30-point explosion against Minnesota on December 1 should give fans hope that he’s not too far off. Hopefully, this was Hayward’s coming-out party. The team now currently sits fifth in the East, which is certainly not where most expected them to be this far into the season. Alas, don’t worry, Celtics Nation; it is still early and we’ve seen plenty of encouraging things over the past couple weeks which leads me to believe they’ll be just fine in the end. Next up is a matchup with the Wizards on Wednesday night. The Celts then get Atlanta, Detroit, and Phoenix before a Friday night showdown against the No. 2-seed Bucks just before Christmas. So while November was a bit of a rough patch, I’ve been liking what I’ve been seeing lately, boys! Keep it up! This entry was posted in Celtics and tagged Anthony Davis, Basketball, Boston Celtics, Celtics, Celtics Pelicans, Celts, Marcus Morris, NBA, NBA Scores, New Orleans Pelicans, Pelicans, Robert Williams. Bookmark the permalink.